Twenty Mile Stream Road in Cavendish – one of the most popular roads in the area. 17 acres of land – GREAT LOCATION! MLS#4070396. There is a forum on healthcare scheduled for tomorrow evening, Oct. 20th at 7 p.m. at the Ludlow Town Hall Auditorium. Chester is an amazing town in Vermont. 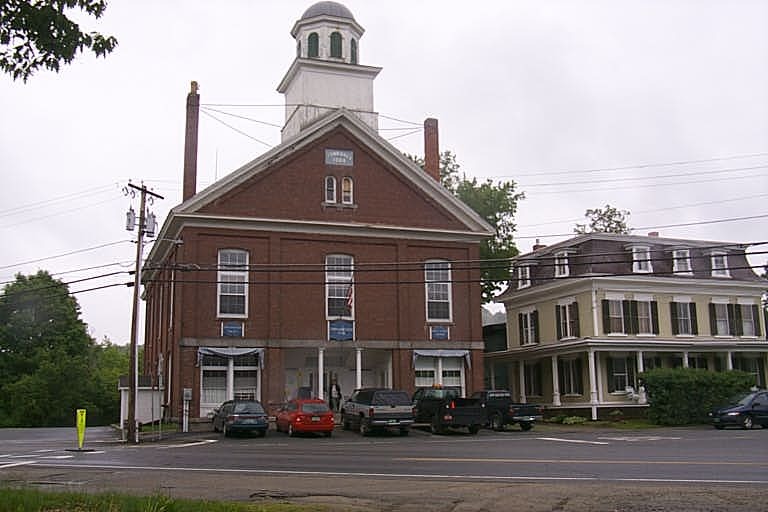 It is a town of churches and some of the most interesting and colorful vistas in New England. 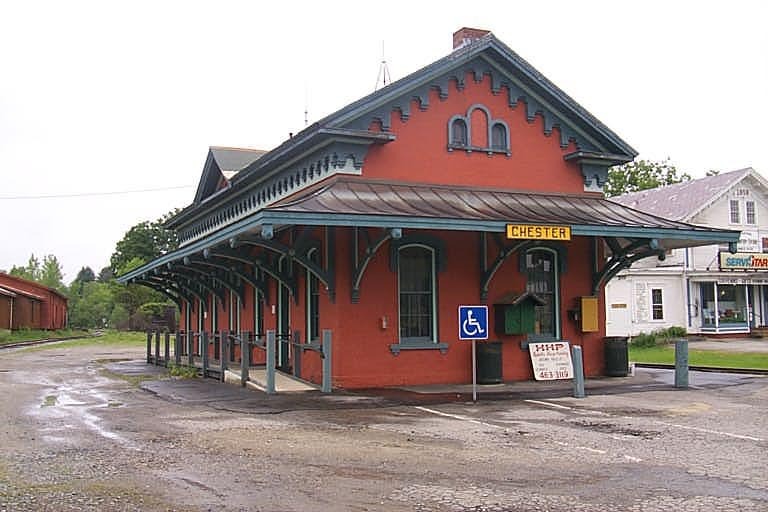 You can enjoy the quaint town of Chester with the historic Village Green and the Stone Village, which is listed in the National Register of Historic Places – livable structures made from local granite. Just a month after the devastation of Tropical Storm Irene, Chester held the 37th Annual Fall Festival on the Green, sponsored by the Chester Rotary Club. Over 60 Vermont and New England Artisans, Crafters and Food Concessions gathered in booths spread over the Green in the center of town. Mark your calendars for next year -this is a great fall event to attend! New Businesses are opening too. The Inn Victoria expanded their business by adding a retail outlet, “Ye Olde Shoppe at Inn Victoria” which will focus on Vermont foods, Vermont made jewelry and other types of goods their guests are looking for while staying in Vermont. There is a new gallery, museum and art school in Chester as well! The Vermont Institute of Contemporary Arts (VTica) hosted an open house at the beginning of this month. Located on Depot Avenue across from the Jiffy Mart just off the Chester Village Green, there was a timely photographic essay of 50 images from professional and amateur photographers chronicling the destruction and rebuilding of south/central Vermont in the aftermath of the storm. There are well established businesses also contributing to Chester’s charm. Bill Austin’s Antique Store has the largest collection of Antiques around and he refurbishes many items himself. It’s quite an experience walking through all the rooms of his store! After antiquing at Austin’s, step into MacLaomainn’s for lunch! MacLaomainn’s is a Scottish style pub located at 52 South Main Street and Deb and Alan Brown opened their doors in 2008. Their Scottish style menu is unique to this area featuring traditional fish pie, haggis, mince and tatties and steak pie. They also offer pizza, Angus burgers, hot dogs and more! The atmosphere is just what a pub is intended to be – a community living room where everyone can feel at home. This year the Browns added to their offerings by opening the Great Hall – a conference room, event and music hall which can seat up to 95 people comfortably and is located directly behind the pub. Their hope is that the Great Hall becomes a place where people will comfortably gather with family and friends. Chester is a delightful town to visit and I’m sure you will discover the warm and inviting atmosphere coming from the local businesses and local people. Come see – you can’t get away from that Vermont spirit! BURLINGTON, Vt. — State and federal officials are reminding Vermonters whose wells may have been contaminated by flooding after Tropical Storm Irene to apply for assistance to repair or replace the well.